The commander of the self-proclaimed army in eastern Libya, Khalifa Haftar, has called on his forces on the outskirts of Tripoli to advance on the capital and wage a war to control it whether by peace or by force. He added in an audio recording on Thursday published on Facebook that all of the Tripoli state institutions, personal properties and civilians must be protected when they enter Tripoli. 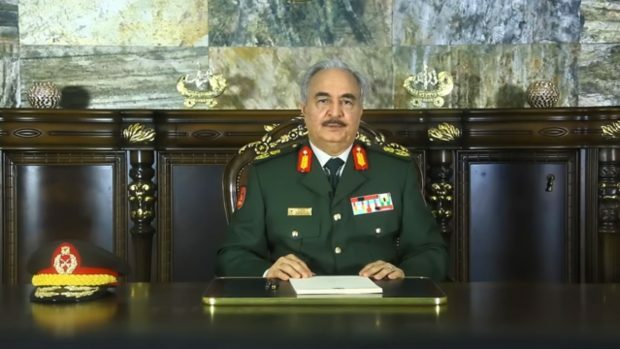 Haftar also said that those who raise the white flag to surrender in Tripoli should not be targeted, and those who are inside their houses should not be targeted as well.